I had a couple of Chanel Taboo comparison requests today and thought I'd share the results with everyone! 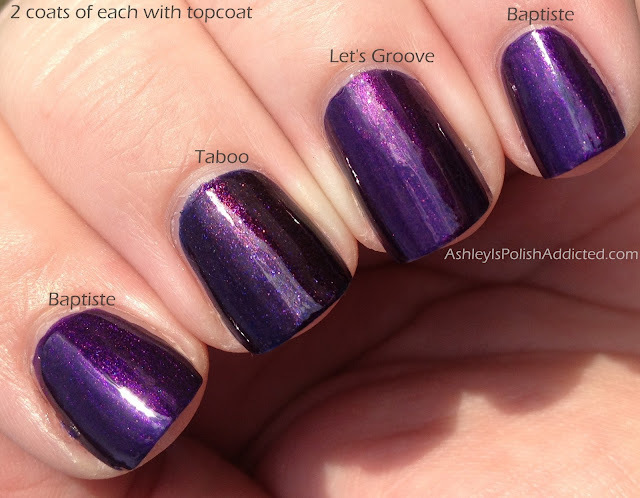 So here is Chanel Taboo, Illamasqua Baptiste and China Glaze Let's Groove. 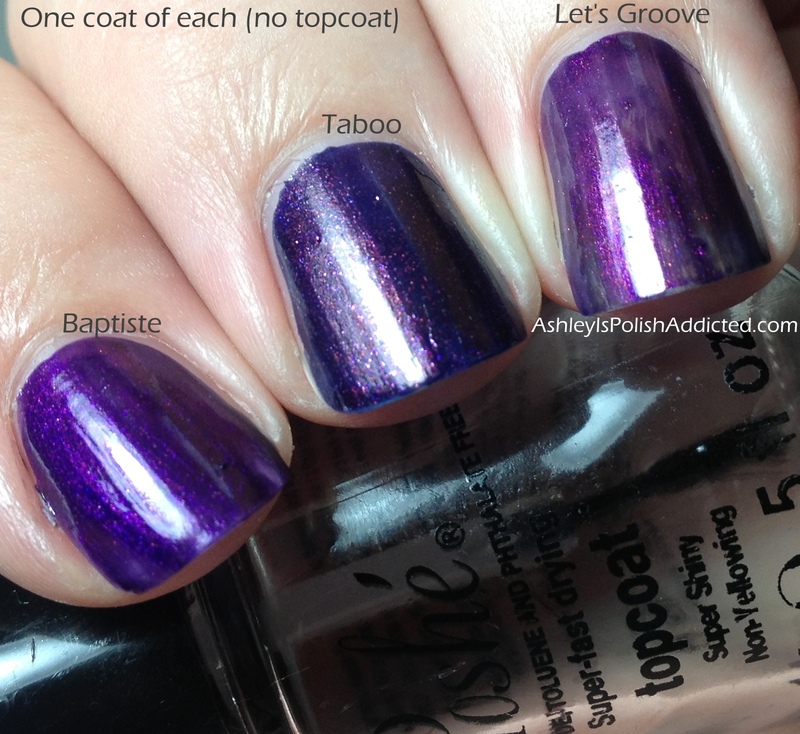 I have written on the swatch photos how many coats and which polish is on each finger to make it easier. I'll let you look at the pics and then give you my conclusion at the end. Glad I have all three but great photos! I have all three and love them equally! I like all 3 but the one that takes my heart is Baptiste. That is a stunning purple. I wouldn't say no to any of them if I had the chance to wear them on my nails. I totally just bought CG Let's Groove after seeing this comparison. 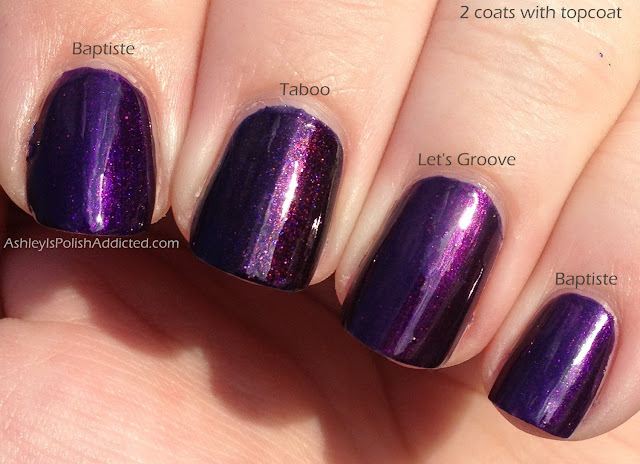 Maybe OPI - Russian Navy could be something similar too?